Corporate bond interest rates today compared with the historical value of these bonds may paint a surprising picture for some investors. In 2007 the average interest rates for a corporate bond that received an AAA rating from Moody’s was between 5.23% and 5.99% through the year. In 2008 the AAA average rate was from 5.29% to 5.89%, and in 2009 the same bond quality saw rates from 4.74% to 6.47%. 2010 corporate bond rates for an AAA bond were between 5.00% and 5.8% in May of this year. 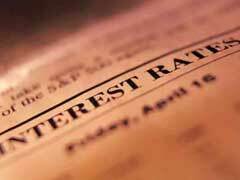 In May of 2011 the interest rates dropped some and were 4.31% to 5.28%. For the week ending April 13, 2012 the average high and low interest rates for bonds issued by corporations that are rated AAA were 3.8% to 5.19%. Since 2007 these bonds have seen the interest rates fluctuate but current rates are lower than they have been in the past few years. In 1920 the corporate bond interest rates for a bond Rated AAA by Moody’s was 6.12%. By 1929 the rate for the same bond was 4.73%. This same year a BBB rated bond of the same type had an average interest rate of 5.90%. Municipal bond interest rates for bonds rated by S&P as high grade municipal bonds in 1929 were 4.27%. Until 1939 the Moody’s BBB rated bonds were not common, and many years not a single bond in this category was offered. By 1947 interest rates had dropped even further, and the average rate for a bond rated AAA was 2.61% and a BBB corporate bond rate was 3.24%. In 1955 the average corporate bond interest rates for a AAA bond finally reached the 3% mark again for the first time since 1939. This year the AAA rate was 3.06% and the BBB rate was 3.53%. By 1959 the BBB rated corporate bond market interest rate reached 5.05%, while AAA rated bonds had an average interest rate of 4.38%. Five years later in 1964 the interest rates for this market had not changed much. An AAA rated bond rate was 4.40% and the BBB rated version had a rate of 4.83%, which was slightly lower than the rate in 1959. 1966 started an upward climb of corporate bond interest rates which reached incredible highs. In 1966 the rate for a bond rated AAA was 5.13% and one rated BBB was 5.67%. Four years later in 1970 the rates were 8.04% and 9.11% respectively, and a decade later in 1980 the AAA rating meant an interest rate of 11.94% and BBB rated bonds had a rate of 13.67%. The corporate bond yields from 1970 until 1986 were very high. In 1986 the AAA rated bonds slipped into the single digit interest rates once again at 9.09%, and a BBB rating equaled 10.39%. The interest rates since the 1970s and early 1980s have continued to work downward. Investors in the past have seen much higher rates than the ones offered for the corporate bond sector today, but this does not mean that these investments are a poor choice for many investors.